Dodd-Frank is squarely in President Trump's firing line. Trump slammed the Wall Street reform law as a "disaster" on Monday and vowed to "do a big number" on it soon. Dodd-Frank was enacted in 2010 as the Obama administration's response to the worst financial crisis since the Great Depression. But Trump suggested the financial overhaul went too far. The new president blamed excessive regulation for making it "virtually impossible" for small and medium-sized businesses to get loans from banks. However, Trump did not explain what exactly he wants to do: gut the regulation completely, or put parts of it on the chopping block. Related: Will Trump kill the Trump rally? Sean Spicer, the White House press secretary, wouldn't divulge any details during his press briefing about what "do a big number" means either. He simply said the Trump administration will work with Congress on reforming Dodd-Frank. Efforts to gut Dodd-Frank would spark a big fight. Supporters of the law believe it has significantly reduced the odds of another Wall Street meltdown. Lisa Donner, executive director of a nonprofit coalition pushing for Wall Street accountability called Americans for Financial Reform, said in a statement that it would be "wrongheaded and a betrayal of Trump's campaign promises to reign in Wall Street abuses." 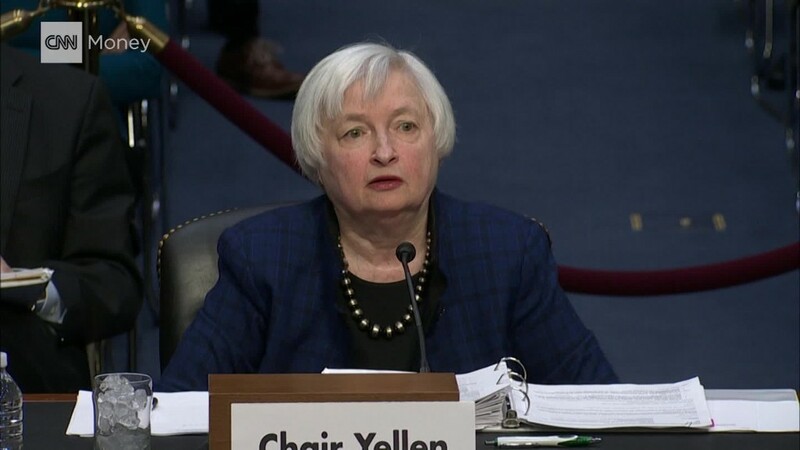 After Trump's victory, Federal Reserve chief Janet Yellen credited financial regulation with making the system "safer and sounder" and said she "wouldn't want to see the clock turned back" on Dodd-Frank. Big bank stocks have been on a tear since the election in part due to bets that Trump and Republican-controlled Congress will dial back financial reform. JPMorgan Chase (JPM) has soared 23% since Trump's victory, while Goldman Sachs (GS) has spiked nearly 30%. It's unclear how it will shape out. Republicans have proposed sweeping reform that would eliminate the Volcker Rule, which prevents big banks from making risky bets with their own money. However, Steven Mnuchin, Trump's treasury secretary nominee, said he supports the Volcker Rule and suggested reforming it instead of abolishing it. Likewise, Mnuchin said he thinks it's worth keeping the Consumer Financial Protection Bureau, the watchdog inspired by Senator Elizabeth Warren that has taken on big banks like Wells Fargo (WFC). By comparison, legislation introduced by the GOP would kill the CFPB and some Republicans want Trump to fire its director. Mnuchin has previously signaled that the Trump administration's focus would be on helping Main Street lenders that have been unfairly caught up in excess regulation. Trump's criticism of Dodd-Frank came just after he signed an executive order pushing government agencies to identify two regulations to eliminate for each new regulation issued. Even though many bank regulators are independent, Cowen & Co. analyst Jaret Seiberg predicted that many would try to comply with Trump's executive order anyway. "This is done both out of general deference to the President and to limit the political fallout that could occur if any agency were seen as defying the White House," Seiberg wrote. But Seiberg cautioned against betting that Trump will try to repeal Dodd-Frank completely. "We have trouble seeing this President exposing himself to charges that he's doing the bidding of Wall Street banks," he wrote.